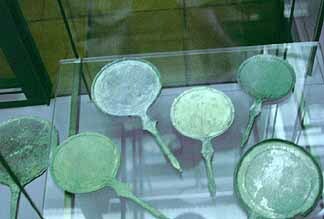 Bronze Mirrors, Villa Giulia Museum, Rome. Mirror with Figure of a Woman from Sparta, 6th B.C. 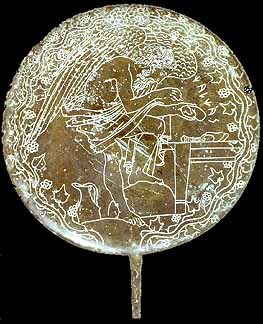 Engraved Mirror with Chalchas Reading the Omens, 400 B.C. 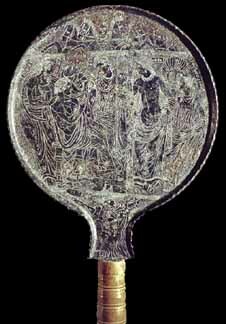 Engraved Mirror With The Judgement of Paris, 3rd B.C.